There weren't many survivors after our 5 day mid April roadtrip. 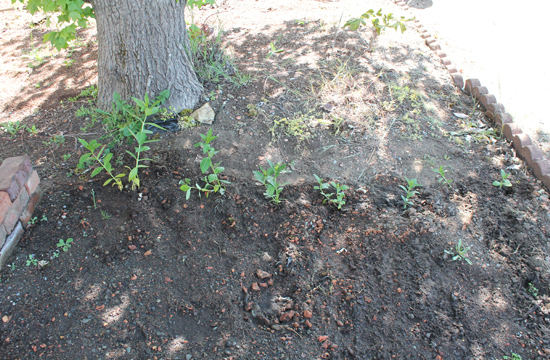 Here is the before...pepper starts, slow growing lavender, and tons of little lemon balm. 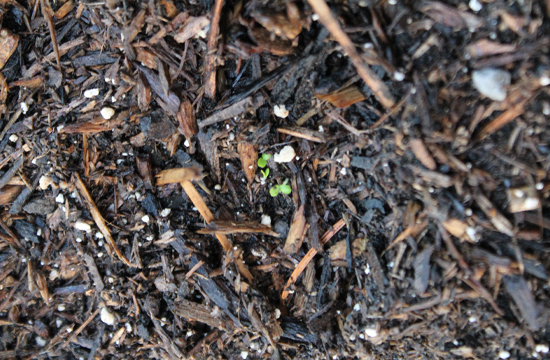 Non of the lemon balm survived, neither did my lavender that I had been nursing along for 2 months. 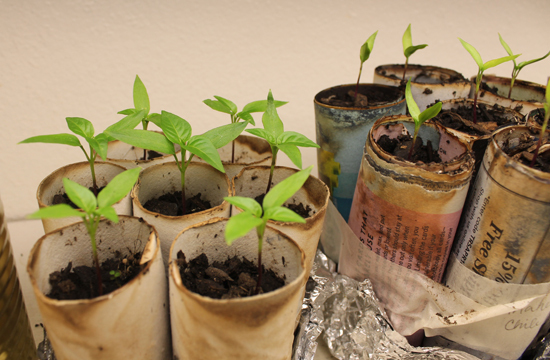 The peppers are looking rather yellow, so I'm working on bringing them back to life...having some success. 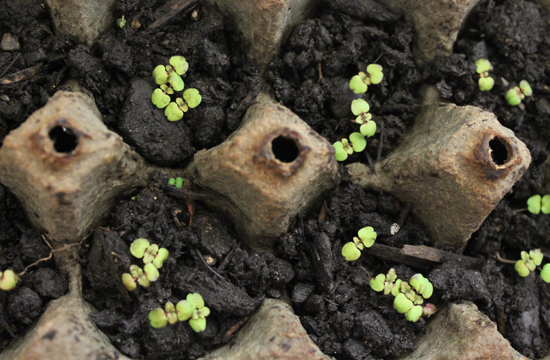 So I've started the lemon balm over again this time outside. There they are. 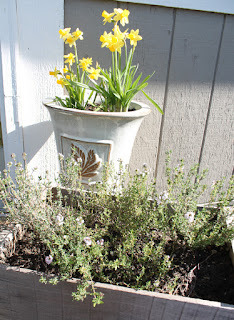 I added some flox that were volunteers around my Mom's garden. 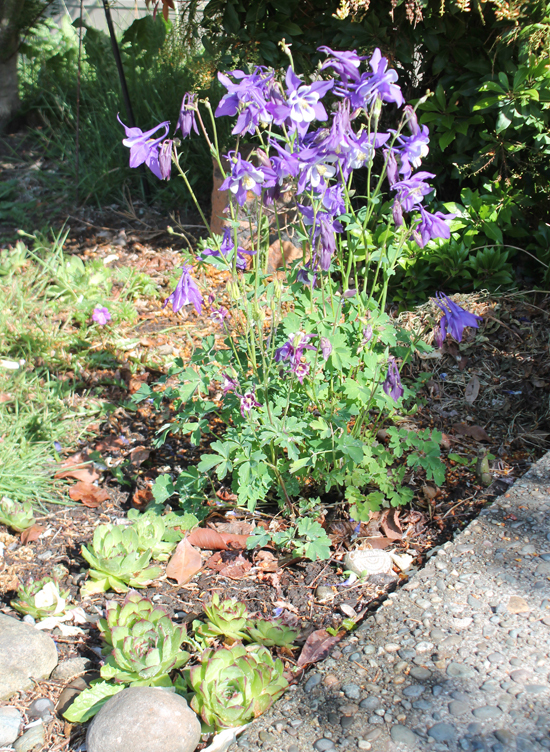 The columbine is gorgeous and blooming...the succulents are also doing really well and sending out new runners. 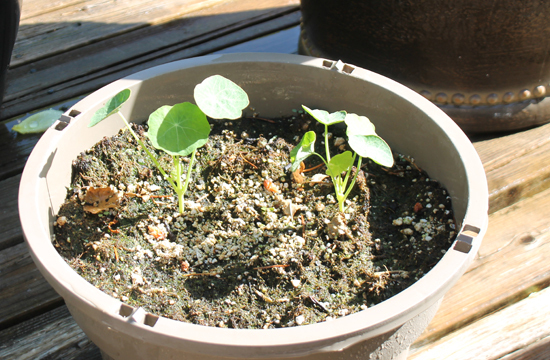 I put some nasturtium seeds in a pot just before our roadtrip, and they are coming along nicely. 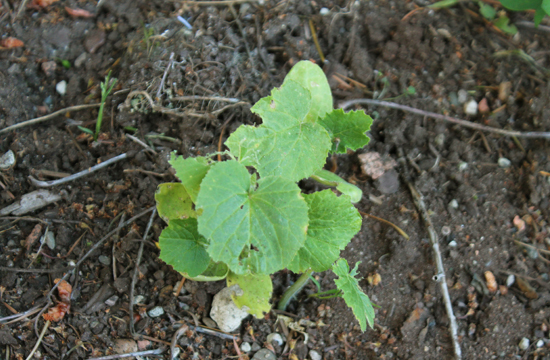 The pumpkin seeds I threw outside in October in the corner of the yard where nothing grows have come up. 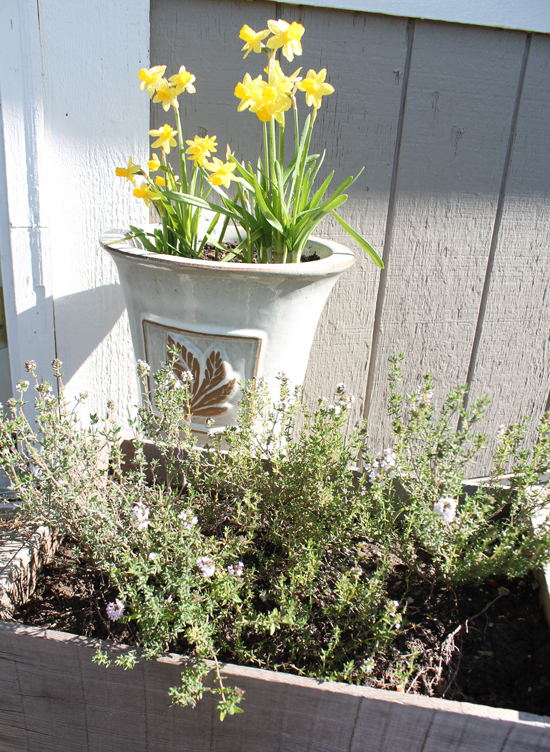 The thyme and mini daffodils are blooming. 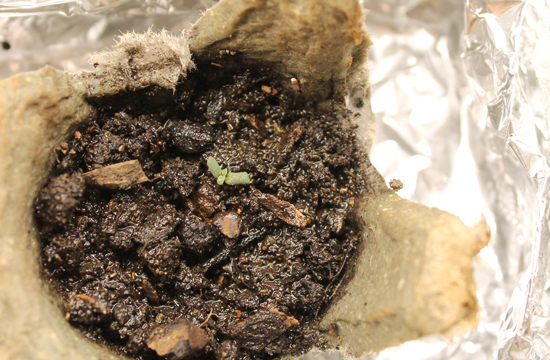 Now, its time to wait and see if my seeds will start - cilantro, squash, nasturtiums, bachelor buttons, chamomile, daisies and California poppies. Its looking pretty bare at this point. 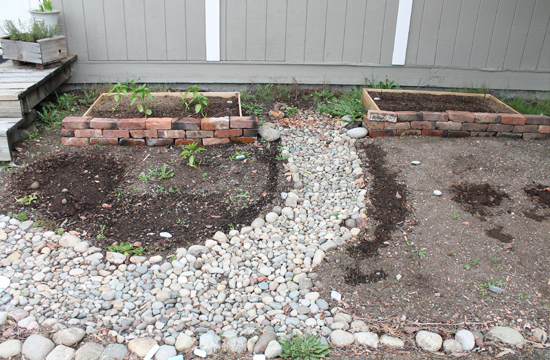 You can't really see them, but my onions are looking great in the right side bottom left corner, and beans are springing up opposite them in the little left patch.